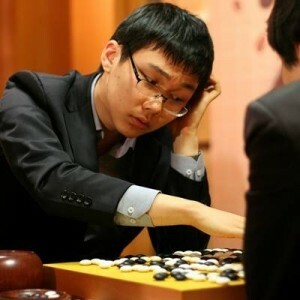 On March 5, 2012, Park Junghwan 9P defeated Choi Cheolhan 9P to take the 13th Maxim Cup two games to zero. The Maxim Cup is a 9 dan only invitational tournament in Korea. Like last year, the finals took place at the beautiful UNESCO World Heritage listed Jeju Island. It seems that reporters make a habit of giving the players a hard time at the Maxim Cup finals. Last year, Lee Changho was asked how he felt about losing his dominance over the Go world. This time, Choi was in the hot seat and got grilled about his upcoming wedding. Park was not spared either. Asked about his disappointing first round loss in the 4th BC Card Cup, where he started as one of the favorites, Park said that hopefully with this win, his performance will improve in future tournaments. Both games featured creative openings, followed by hard fighting. Jingning; based on her original article Park Junghwan wins 13th Maxim Cup at Go Game Guru. On April 7 2011, Park Younghun 9P won the 12th Maxim Cup, beating Lee Changho 9P by half a point in the second match. Park won the first match several weeks ago (March 21), and with two wins he took the best of three title. Both Lee and Park are famous for their accurate counting and endgame skills. Go fans used to say that if Park and Lee played and the winning margin was half a point, the winner would be Lee. However, now people say that if the winning margin is half a point, the winner will be Park. 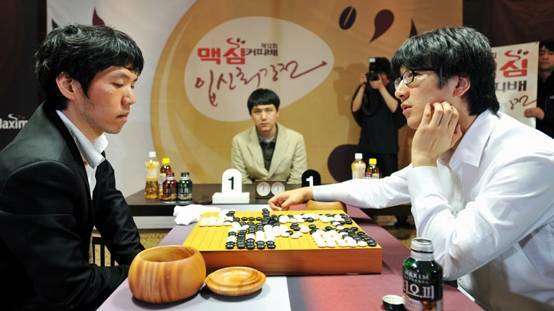 In November last year Park also won the Korean Myeongin (Korea’s equivalent of the Japanese Meijin). The Maxim Cup is a rapid Korean domestic tournament for 9 dan players only. This year, the tournament was held on the beautiful Jeju Island, a UNESCO World Heritage Site that is popular with tourists. Lee was accompanied by his wife and, prior to the match, revealed that the couple were very happy and plan on having two or three children. Given that Lee’s nickname as a Go player is “Stone Buddha”, perhaps the little ones could be called the “Stone Babushkas”? Before you ask, there was no mention of whether the children would learn Go. After the match, a reporter asked Lee how he felt about losing his dominance of the baduk world after more than two decades. Lee was non-plussed, and replied that he did not mind as long as he could still play a good and interesting game. - Jingning; based on her original report at Go Game Guru, which includes more pictures and game records.